EAGLES WEST Fan Club ––> NFC Championship!! The Time is NOW! FLY EAGLES FLY!! Come JOIN the EaglesWest FAMILY!! • TONS of OFFICIAL Eagles Memorabilia GiveAways! • $20 Buckets of BEER!! • $8 ULTIMATE Bloody Marys! 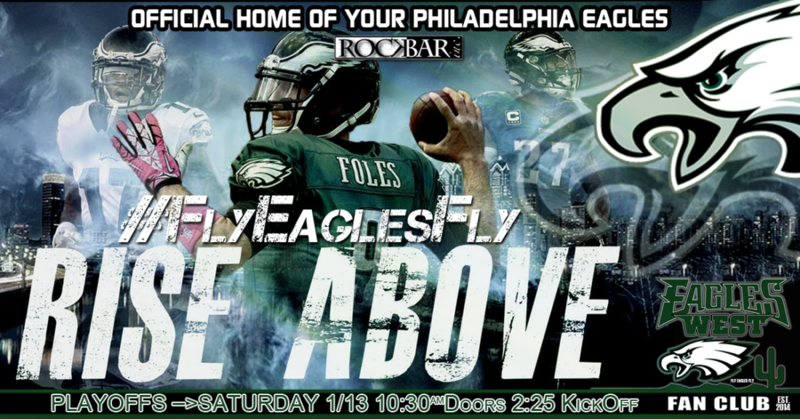 • $3 SHOTS with EVERY EAGLES TD! GET a TEE Shirt, Official Members Card, and Automatically Entered into ALL GameDay GiveAways!! 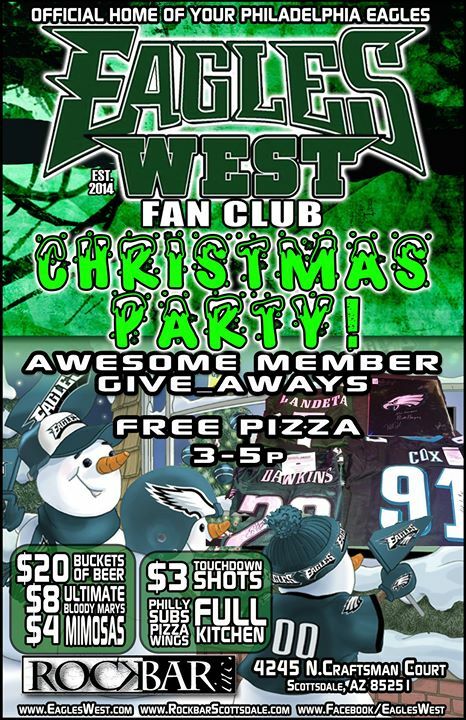 EAGLES WEST Fan Club ––> EAGLES PlayOffs!! The Time has come to FLY EAGLES FLY!! It’s Going DOWN week 9!! Happy ‪#‎Eagles‬ Football eve!!! TOMORROW AUG 11th – 4pm is the ‪#‎PhiladelphiaEagles‬ FIRST ‪#‎Preseason‬ ‪#‎NFL‬ game!! 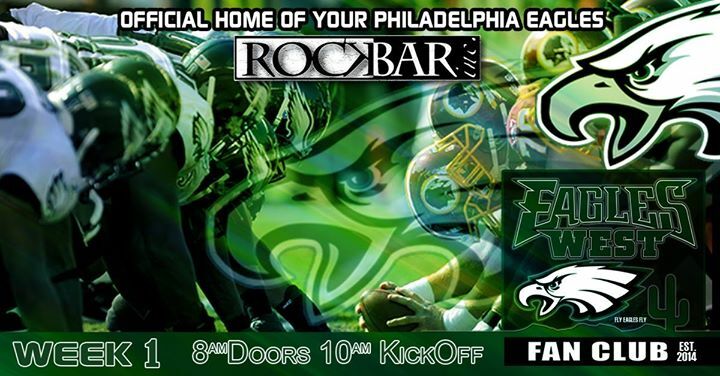 KICK OFF THE SEASON WITH ‪#‎EaglesWest‬ at our official home Rockbar inc. in Old Town Scottsdale!! ‪#‎Rockbar‬ will open at 2pm! 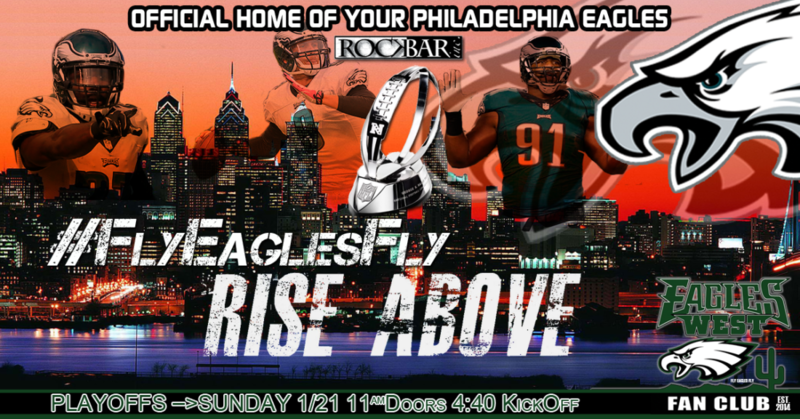 Stop by, watch the game, hang out with other Eagles fans, meet new people, grab a drink & try something NEW from ‪#‎Rockbars‬ NEW Extended Menu! E•A•G•L•E•S vs BILLS with Your Eagels West Fan Club! !